Ever 6 months, you can earn points that go towards winning a 12 month Adobe Creative Cloud membership. Each point gives you a chance to win. Earning points is as simple as attending each Adobe User Group Meeting. For every meeting you RSVP for and attend, you will earn points. There is the opportunity to earn bonus points if you bring other people. More points = more chances to win. So come along and bring some friends. If you RSVP and attend you earn 10 points. If you bring a friend (you both RSVP and attend), you earn 20 points and your friend earns 20 points. For each additional month that your friend continues to RSVP and attend you earn +10 points and they earn their 10 points. Points will also be awarded for outstanding contribution to AUGSA as well as for participating in quizzes and competitions at AUGSA events. In the June and November meetings, each point will count towards a randomly generated draw. The members who have more points will have a greater chance of winning but anyone with any points will still be in with a chance. You must attend regular AUGSA meetings in order to participate. For example, John attends the AUGSA meeting in July and earns 10 points. The following month John brings Susan. John and Susan each earn 20 points. Susan comes again the following month with John so John earns 10 points for attending and another 10 points for Susan attending. So at the end of September, John has 50 points and Susan has 30. Basically, the more you attend, the more friends you bring and the more your friends attend, the more chances you have of winning. The judge is Steven Ready from Digital Lamb. Steven Ready of Digital Lamb and Richard Huntley of Gamelearn are ineligible to enter. Other employees and contractors of Digital Lamb or Gamelearn may participate and are subject to the same rules and regulations as any other AUGSA member. Points have no monetary value and can not be pooled, traded, sold or swapped. A member is defined as someone who regularly attends the AUGSA meetings. Regular attendance is defined as attending 3 or more meetings in a 6 month period or as being a long standing member having attended more than 10 meetings over several years. To earn points for attending the meeting you must also RSVP. The prize is supplied by Adobe. If Adobe withdraws the prize, the competition will be cancelled. Participation in the competition is voluntary. We reserve the right to change, edit, extend or modify these terms and conditions. The winner will be drawn and announced at the June and November AUGSA meetings (subject to change). Winners must claim their prize within one month or else the prize is forfeited. Winners can not win another prize draw for a period of 3 years. 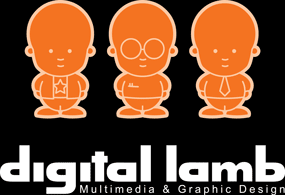 Winners names may be published on the Digital Lamb website and used in the Adobe User Group SA email.